This uniquely told story-of-a-Life is a visual and verbose delight. 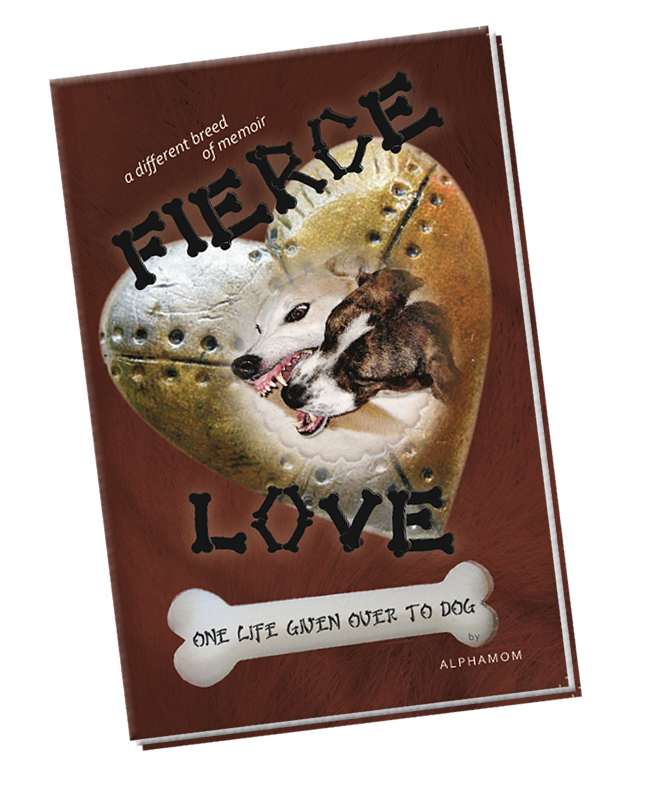 Packed with color photos (hundreds of them) and full of character, FIERCE LOVE is a doggedly different breed of memoir that’s FUN to read and hard to put down! Considered strange by other TwoLeggeds, AlphaMom relates howooo her unconventional Relationships with her talking Dogs (yes, you read that correctly–they crack jokes, supply advice, encouragement, and even help with dreams) were what inspired and sustained her as she trekked along Life’s Trail…and saved her when grrrr, the going got rrrrough. By intertwining insights gained through Animal Communication with the observations she gleaned while living among and studying the behaviors of hundreds of Domesticated Dogs (often from their four-on-the-floor pawspective), AlphaMom has created a true yet peculiarly quirky account of One Life Given Over to DOG. Are you ready? Like what you read? Woof woofwoof!